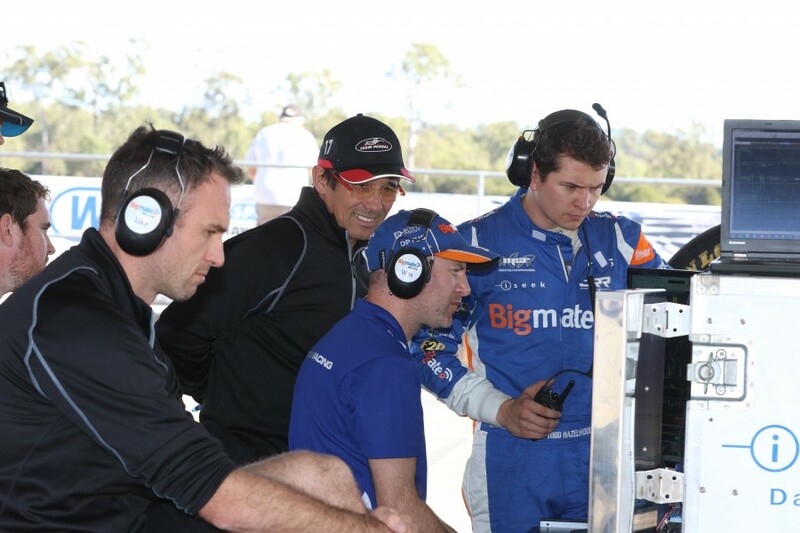 Championship leader Scott McLaughlin has turned laps in Matt Stone Racing’s Bigmate Ford at Queensland Raceway in a bid to help Todd Hazelwood’s rookie campaign. MSR and Hazelwood stepped up to the Virgin Australia Supercars Championship together this season after taking out the 2017 Dunlop Super2 Series. 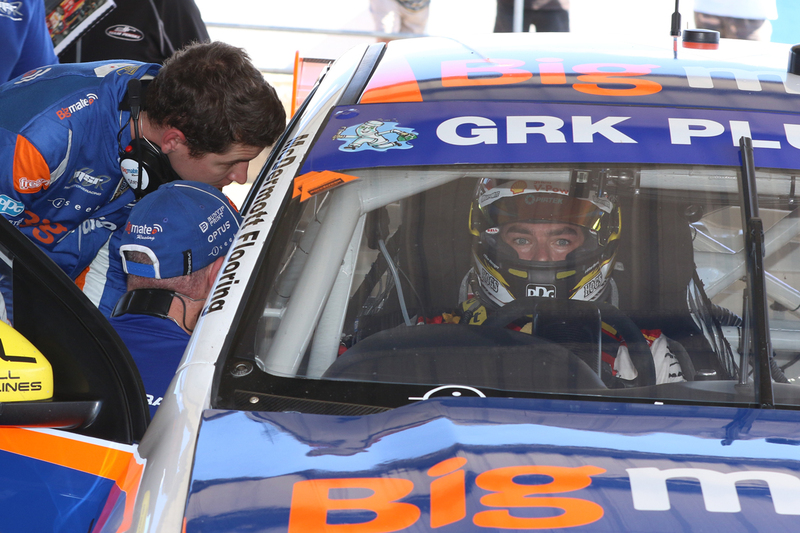 Finding success with ex-Triple Eight Holden equipment in Super2, the squad purchased two Fords from DJR Team Penske as part of its progression to the main series. 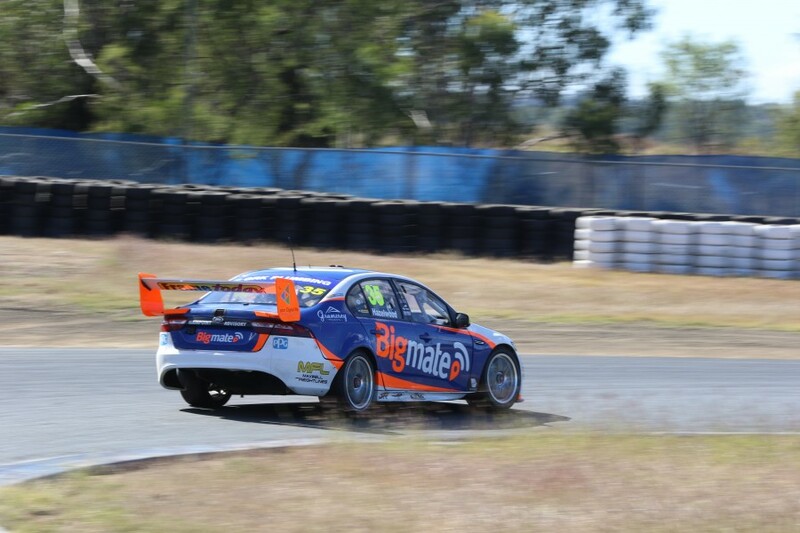 The transition has not proven easy, with Hazelwood 23rd in the standings after the first 14 races, clocking best qualifying and race results of 21st and 18th respectively. 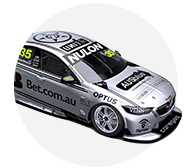 Hazelwood’s car had not been raced by DJRTP since early 2016 and includes older suspension componentry than that seen on the Shell V-Power entries. Although there is no data sharing deal between the squads, McLaughlin and engineer Ludo Lacroix spent time assisting Hazelwood this morning. “It was just a bit of information for them, seeing if I feel the same things that Todd is,” McLaughlin explained to Supercars.com. “In different spots it did feel a bit different to my car. In some areas it was better, so there’s things we can work on and maybe even bring back to our car as well. 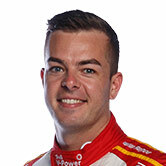 McLaughlin is allowed to do 10 laps in the car under the testing rules, with today’s running counting as one of Hazelwood’s three rookie days for the season. Fellow Shell V-Power driver Fabian Coulthard turned laps in the Bigmate entry during Hazelwood’s first rookie day in February, which marked the first time MSR had run the car. MSR team manager Steve Greer says today’s test is important as the squad looks to improve its form. 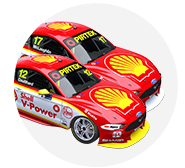 “It was good of the DJR Team Penske guys to make Scott available to us, to give feedback that we can compare with the data and Todd’s feedback,” Greer told Supercars.com. “The relationship between the teams is unchanged, but this was a gesture of good faith from them, helping us learn. 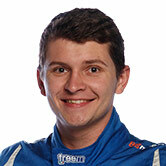 “The feedback from Ludo and how he interacts with the driver, they’re all points for us to be aware of. Shell V-Power Racing and Matt Stone Racing are joined at Queensland Raceway today by Holden squads Triple Eight and Tekno Autosports. A host of Victorian squads will then be in action tomorrow at Winton as teams utilise the break ahead of the CrownBet Darwin Triple Crown on June 15-17.